Team EtchRock write about all things challenge related, drop us a line if you would like to get in touch! 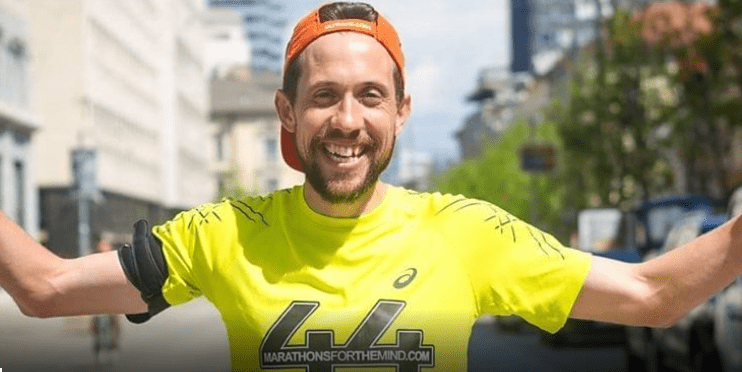 This Sunday 14th May, running enthusiast & EtchRock Elite Peter Thompson will run the streets of Dublin as the final destination on what has been an epic 44 day running challenge: ‘Marathons for the Mind’. Pete’s route in Dublin: Pete will start to run from Radisson Blue Royal hotel at 12:30 pm. He’ll run a 26.2 distance and finish is planned in the Market Bar on Fade St. Sunday 14th May 2017. 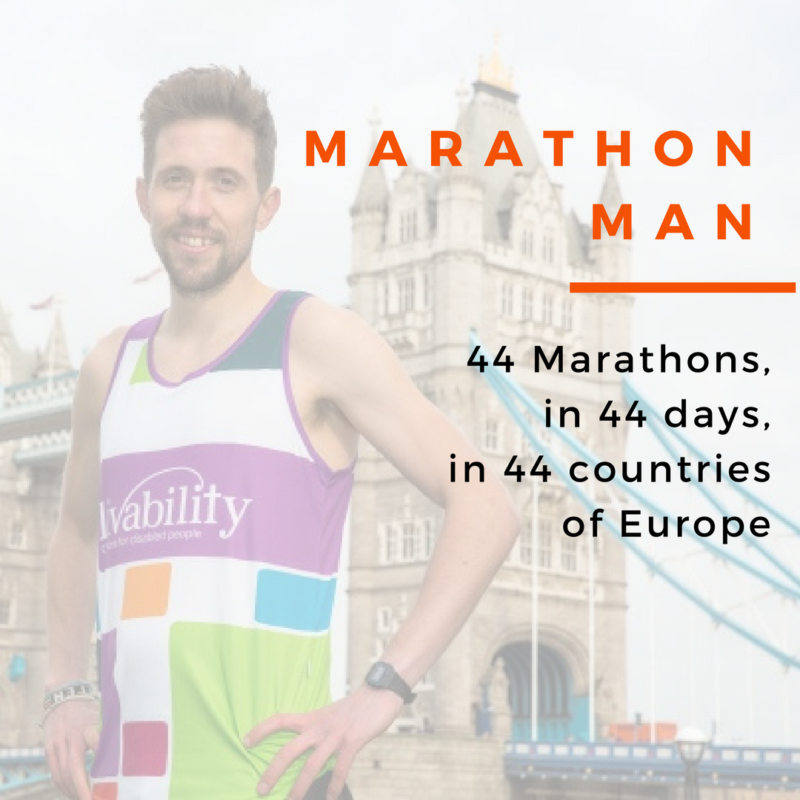 Peter’s self-set mission has seen him run an incredible 44 marathons in 44 consecutive days – in every country in Europe – to raise money and awareness for mental health. Starting in Russia on April 1st, Peter has been pursuing the mammoth adventure on behalf of the charities Livability and Mind. The challenge has attracted wide media coverage and attention on social media, with personalities like Stephen Fry, Dame Kelly Holmes andPaula Radcliffe sharing their support. @Peter26point2 You are a huge inspiration to many and are accomplishing something very special. Enjoy San Marino and beyond and congratulations. Supporting mental health through Livability – what inspired Pete’s run? 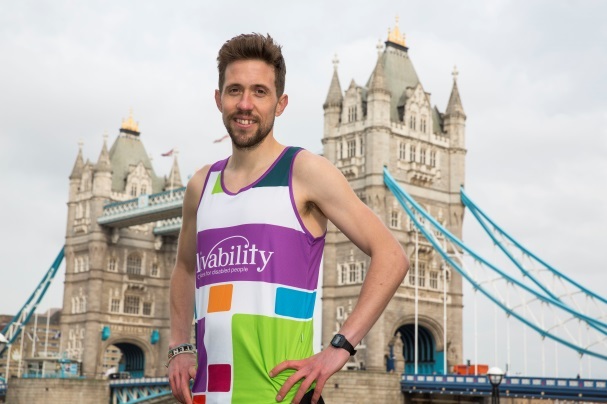 One of the charities Peter Thompson is running for is Livability – a national disability and community charity. The charity delivers disability services and community projects throughout the UK, supporting disabled and vulnerable people. Peter has been inspired by one such service called ‘Livability Holton Lee’ – a wellbeing discovery centre in Poole, Dorset, which delivers a gardening therapy project called Flourish. Flourish is a gardening therapy programme for disabled people and people living with mental illness. Using the gardens in the expansive wellbeing discovery centre of Livability Holton Lee – activities include horticulture, conservation, woodworking and garden maintenance. As a staff member at a local support service in Poole, Peter has seen the impact that the Flourish project has had on the people he has referred to the project. It supports 60 people each week and helps people grow in confidence, new skills, wellbeing and friendships. 98% of people that attended Flourish in a year reported an increase in social connections. If you want to find out more about EtchRock Elite Peter, check out his Elite profile, follow him on Twitter or please donate here.